Simplicity of design and incredible performance. 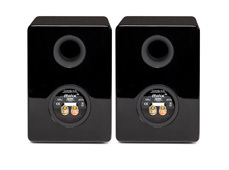 The Minx XL is a compact speaker that offers an immense hi-fi sound stage but still with unrivalled value. 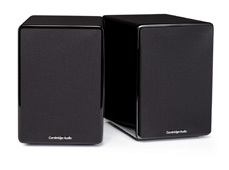 Following our “Sound First” principles, the XL speakers are designed to sound truly stunning, at a fantastic price. Through our focused design approach we pay close attention to the components that truly add to the speaker’s performance to ensure your audio experience is unrivalled. The XL was designed from the ground up by our engineers in London and is the perfect complement to the Minx Xi. No matter what you’re streaming, you’ll be sure to hear every single detail from all your favourite music. The stunning sound quality also comes in a surprisingly small package, available in black or white lacquer, making these compact speakers ideal where space is an issue.